I've been trying out the Eye Contour Care cream and the SPF5 Day Cream from Institut Arnaud's Eclat Jeunesse range for about three weeks now. The eye contouring cream is directed towards fine lines, which I font have yet (and hope to not ha e them soon either), but the cream is refreshing and soothes the sensitive skin around the eye. The tube is designed with a tin nozzle to dispense enough cream for the eye without wastage. The day cream has a mild fragrance and is very light. It absorbed instantly into the skin and leaves it feeling soft. My skin has manged to stay smooth even in the cold and dry weather in Al Ain. The biggest drawback to this cream for me is the low spf. The UAE weather calls for a higher sun protection and with spf 5 I can't wear just this cream out of the house on my no make up days (which is most days). So I prefer wearing it as a base before applying a bb/cc cream or foundation with a additional spf. Institut Arnaud was created 60 years ago when French dermatologist Dr. Arnaud, passionate about cosmetics, called upon chemists and developed professional skincare products for the beauty salons of Paris. In 1995, the brand was acquired by Antoine and Hervé Madrid. They perpetuated the values and know-how inherited from Dr. Arnaud. A strong brand identity was shaped with the creation of an orange colour code and a more contemporary product presentation. 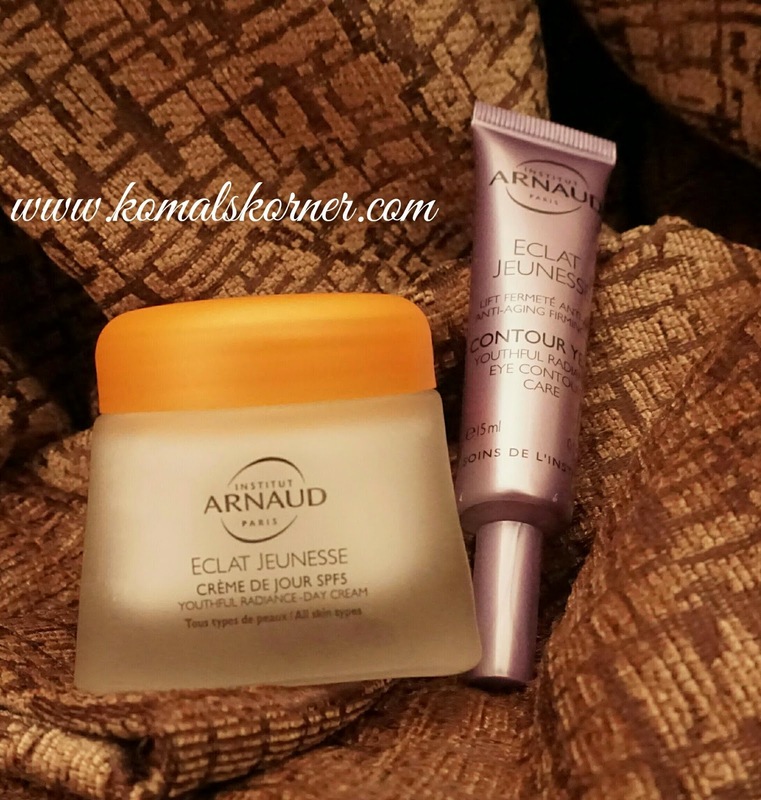 Institut Arnaud has a wide range of products focused on various skin types as per your age bracket, which means you might just find one that meets your needs.